Margaret's custom cut of this limited edition really brings out the gems luminescent brilliance. Available in Sterling Silver or 14/20kt. Gold-filled. 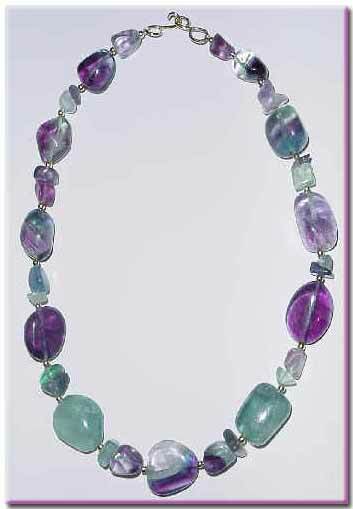 This exquisite example of rainbow fluorite is one of Margaret's favorite stones. Its colors occur naturally in green, blue, and purple. The hues can change dramatically within a single stone.